Last week, Skittles announced that it will stage a one performance-only Broadway show on the afternoon of Super Bowl Sunday. Now, the Mars candy has revealed the celebrity who will headline the 30-minute extravaganza: Michael C. Hall. And Hall’s offbeat roles may actually make him a perfect choice for a brand known for its quirky image and favored by teens. And while it may not be common knowledge among obsessive “Dexter” fans, the actor has starred in several Broadway shows, including “Hedwig and the Angry Itch” and “Cabaret” (though not “Sweeney Todd”...as yet). He’s also starred in numerous Shakespearean plays and non-creepy TV and film roles, including as President Kennedy in Netflix's "The Crown." 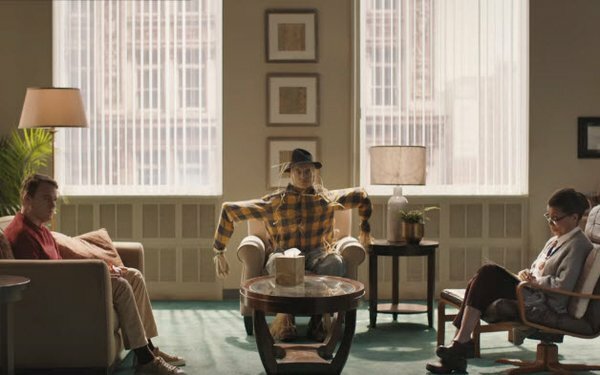 But Skittles and agency DDB are playing up the quirk factor in the 90-second teaser video released with the Hall announcement, in which the actor and a psychotherapist are joined by a scarecrow who personifies Hall’s anxieties.